Lion Sands Tinga lodge consists out of nine suites and one two-bedroom Hi’Nkweni Villa, all located on the banks of the Sabie River providing breathtaking views of the river. The luxurious suites give you the opportunity to escape from daily routine for a moment. Being on the riverside gives you the chance to see wildlife in their natural habitat. 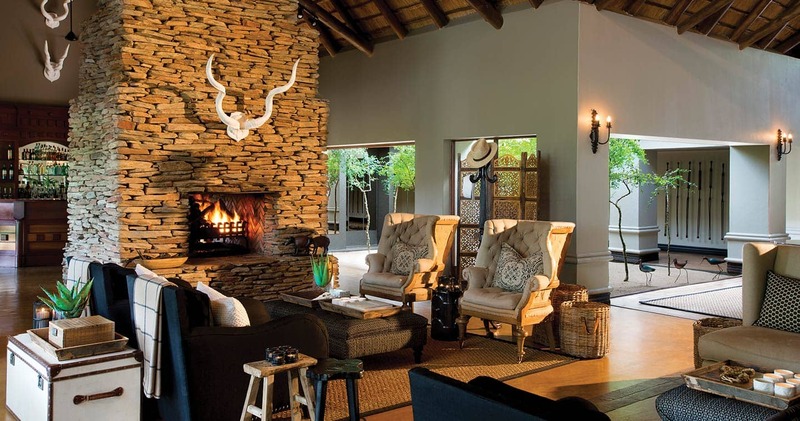 Furthermore, Lion Sands Tinga is located within the Lion Sands Game Reserve - the only private game reserve rooted in both the Sabi Sand Game Reserve and Kruger National Park. The Sabie River forms a natural boundary between its two sides. Tinga Lodge is on the Kruger National Park side. Relax for a moment at the poolside, or enjoy scrumptious dinners of otherworldy standards. All suites are equipped with a fully stocked mini bar and spacious bedrooms. Moreover, your private luxury suite has an outdoor shower. Lion Sands is home to the Big Five and an staggering variety of other game which can be observed during your stay. Staying at Lion Sands Tinga Lodge is all about experiencing wildlife at is best. The Sabie River area is famous for being the area with the highest concentration of leopard in Africa. But Lion Sands Tinga is also about slowing down from daily hassles and wind down. You can do so after a thrilling safari at the side of the large infinity pool or in the privacy of your own suite in your very own plunge pool. You are also most welcome to be pampered in the wellness centre: massages and other treatments will make you feel rejuvenated. Of course your suite is air-conditioned and has a large private loubge area. 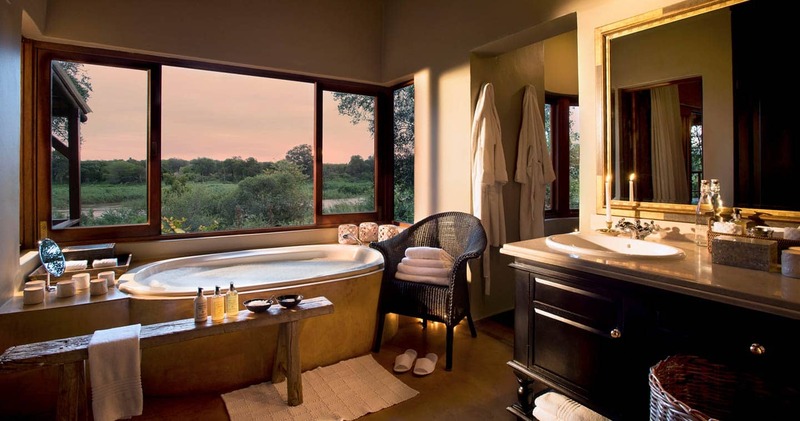 You will enjoy unobstructed views of the Sabi River as both the bath and shower have large double windows. Whilst staying at Lion Sands Tinga Lodge, you are most welcome to join the twice daily safari game drives. Highly trained and experienced rangers will join guide you on an unforgettable journey. Discover the Big Five five, follow the tracks of a leopard or find different kinds of bird species in the Sabi Sands Game Reserve. Besides going on game drive it is also possible to experience the magical African nature on foot. During a guided bush walk you will discover and learn to appreciate the smaller things in nature. Also on offer are wildlife lectures, bush dinners, stargazing (during game drives and bush dinners), and local community experiences. Tinga Lodge has a spa sala offering a range of treatments at the hands of expert therapists with natural and ethically-formulated Africology products. Truly unique is the option to sleep out under the stars in one of the Lion Sands tree houses (optional and at an additional cost). Experience the magic and combine your Lion Sands safari adventure with a visit to Africa's most captivating city: Cape Town. 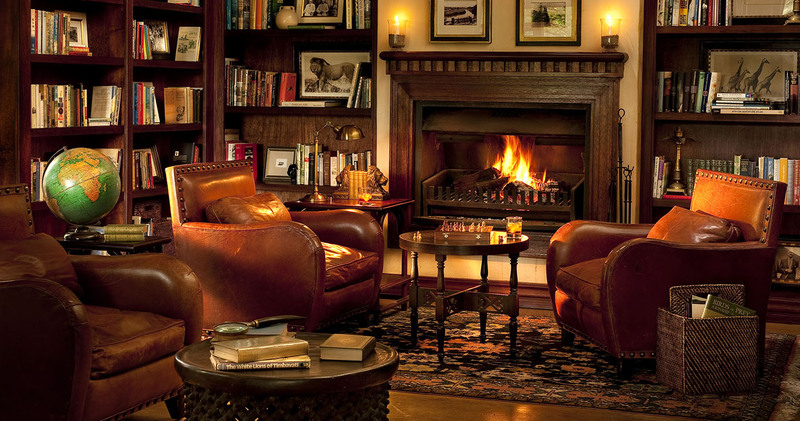 We may offer you two nights in Cape Town completely free when booking a three night stay at Lion Sands Tinga Lodge. In bustling Cape Town you will stay at More Quarters Hotel (one bedroom apartment) or Cape Cadogan Boutique Hotel (standard room). 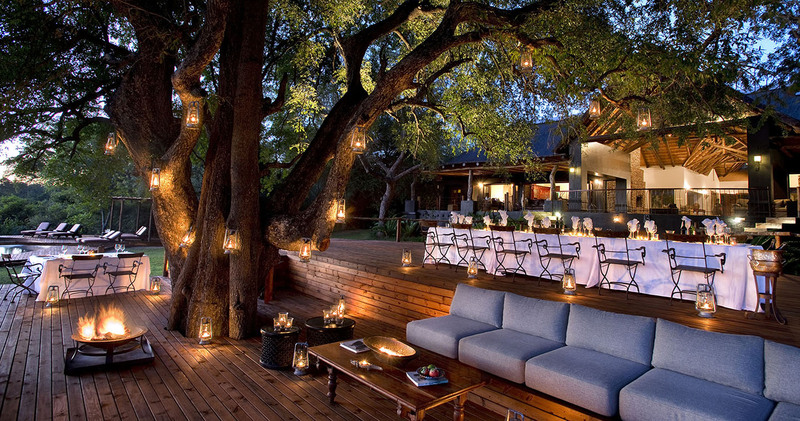 Are you looking to visit Sabi Sands with your significant other? Lion Sands offers a reduced rates for newlyweds. 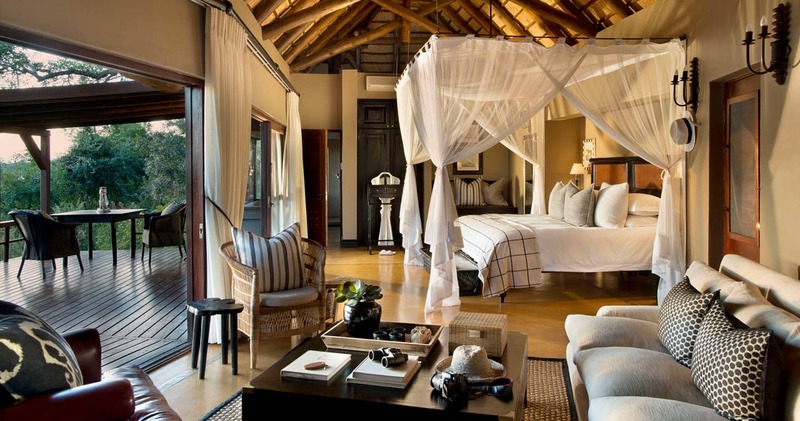 Spend three nights at Lion Sands Tinga Lodge and one of the happy couple gets 20% off the accommodation price! This special offer is valid from 7 January through 17 December 2018, from 4 January 2019 through 17 December 2019 and from 4 January through 17 December 2020. This special rate may not be combined with any other special. Tinga is a very, very good safari camp. An exceptional feature is the view of the nearby river from your room; this offers opportunities to view wild animals, such as elephants. The rooms are spacious and well furnished. All the staff are excellent, especially the rangers and trackers for your game drives. One unanticipated amenity was the high level of drinks and snacks offered during breaks on the game drives. Also fund were the monkeys on the property. The private pools, however, are not heated, which may be fine when the weather is very hot. The breakfasts were also very good. Do what you can to include Tinga on your African safari trip. Tinga was incredible. I haven't seen much of kruger but I have been too other safaris around south africa and kenya, and I would definitely say Tinga is amazing. Its worth taking a look at it. We really enjoyed our beautiful rooms, and the whole service from the hotel was amazing.. Everynight we had dinner at different spots through out the hotel, which made it really unique from other luxury hotels. 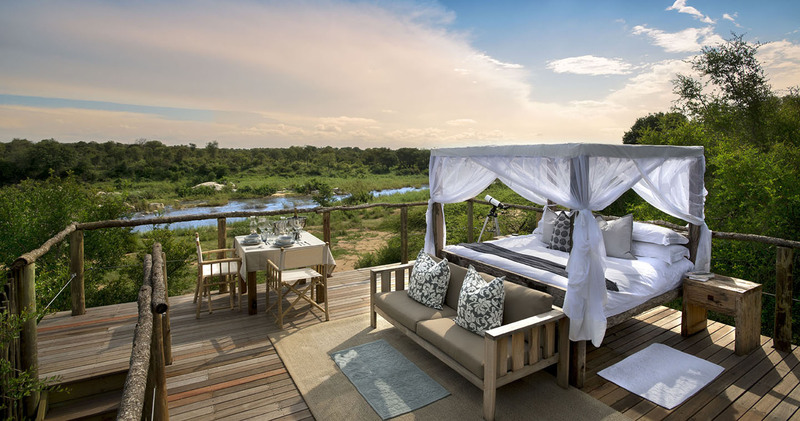 Experience the bush in all its beauty and spend a romantic night in one of the Lion Sands treehouses..
Read all about travelling to Lion Sands Tinga Lodge on our getting to Sabi Sands page. Lion Sands is best accessed through Skukuza Aiport. Lion Sands Tinga does not allow children under the age of 10 years. Children between the ages of 10 and 15 will be charged 50% of the adult sharing rate (given that they sleep in the same room as the parents. Children of 16 and older pay the full adult rate when in their own room. We hope you have found all information needed to decide that Lion Sands Tinga Lodge in the Kruger National Park is the perfect place for your next travel adventure. Please fill in the contact form and we will get back to you soon!